The Royal Ballet 2015/16 Season opens this September with the return of Kenneth MacMillan’s landmark Romeo and Juliet, celebrating 50 years since its première at the Royal Opera House in 1965. It will be relayed live to cinemas on Tuesday 22 September 2015. Originally created on Lynn Seymour and Christopher Gable, it was, of course, Margot Fonteyn and Rudolf Nureyev who danced the 1965 première, famously receiving 43 curtain calls and propelling the partnership to legendary heights. Over the past 50 years there have been a number of legendary partnerships dancing the lead roles; Anthony Dowell and Antoinette Sibley, Jonathan Cope with Sylvie Guillem and Darcey Bussell, Alessandra Ferri and Wayne Eagling, and more recently Carlos Acosta with Tamara Rojo. This season’s exciting role débuts include Matthew Golding, Nehemiah Kish and Vadim Muntagirov as Romeo. Francesca Hayward, who was recently promoted to First Soloist, will début as Juliet. The run will also feature and exciting pairing of young dancers when Soloist Yasmine Naghdi will dance opposite First Artist Matthew Ball in his début as Romeo. Iana Salenko returns to dance the role of Juliet for the first time, opposite Steven McRae. Full casting and booking here. Romeo and Juliet will be screened as part of the Royal Opera House Live Cinema Season 2015/16 on Tuesday 22 September and will also be relayed live to BP Big Screens across the UK on Tuesday 22 September. I have watched McMillan’s version of Romeo and Juliet many times, seeing it first in film theaters in Washington DC., Boston MA, and Albany NY — in the latter city with my wife, children, and my parents. To me it is the most satisfying, artistic, and dramatic version of this ballet ever performed. Of course, with Nureyev and Fonteyn in the lead roles, it had a vast head start. Add to that the modern-yet-classical Prokofiev score, the riveting and intimate choreography of McMillan, supported by the highly competent cast of the Royal Ballet, and you have a ballet masterpiece that will tower and shine throughout the ages. 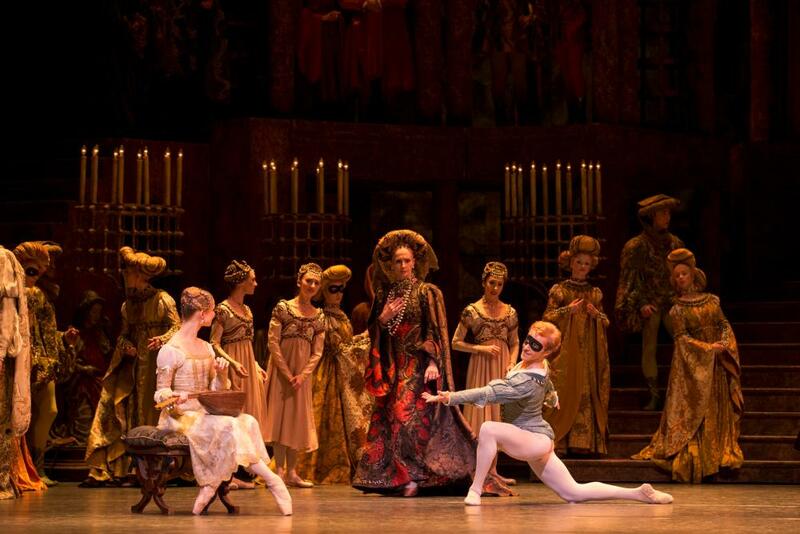 McMillan’s version of Romeo and Juliet is the most beautiful and satisfying ballet experience I had ever had. I saw it back in the 6Os on film in theaters in Washington DC, Boston MA, and Albany NY, the latter with my wife, children and parents. Of course it had a vast head start with Nureyev and Fonteyn in the leading roles. With the haunting modern-yet-classical musical score of Prokofiev and the riveting and intimate choreography of McMillan, supported by the brilliant Royal Ballet cast, it is a towering ballet experience, even today. A truly stimulating affaire. From the glorious performances, the sensational costumes, brilliant choreography to the wonderful and long celebrated music by Profofiev, it was a pure delight. I was on my seat’s edge during the fantastic fight scenes.